To Celebrate the opening of the brand new Stunning Nailed.ie Nail & Beauty Lounge Main Street Blanchardstown, we have some truly special treats for you today!! Time to invest in feeling great about yourself! With these fantastic beauty and nail offers from Nail & Beauty Lounge, you will walk out feeling like a new you! Your nail technician will start by shaping and buffing your nails with a file, pushing back your cuticles for added neatness. They'll then apply a base coat of polish, followed by a further coat of either gel or Shellac, and a final top coat to finish. 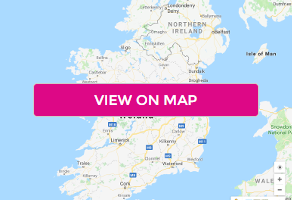 About the Partner: Located at 17b Main Street in Blanchardstown, Nailed.ie provides an extensive range of beauty treatments all carried out by their team of fully trained beauty therapists. All of their treatments are carried out using quality products sourced from some of the leading brands in beauty treatments. Their facilities are stunning, modern and spacious meaning you can relax and enjoy the atmosphere whilst being pampered. Opening Times: Mon: Closed; Tue: 10am - 6pm; Wed: 10am - 6pm; Thu: 10am - 9pm; Fri: 10am - 9pm; Sat: 10am - 6pm; Sun: 10am - 4pm.